Nextivity, Inc. is a leading developer of in-building cellular coverage technology that optimizes the experience of wireless subscribers and increases RF network capacity for mobile operators. Our executive team averages more than 20 years of senior-level experience in the mobile industry from successful career stops at companies like Qualcomm, Zyray Wireless, Broadcom, Tellabs, Motorola, T-Mobile, Alcatel, Intel, Cingular, BellSouth Mobility, Cisco Systems, Kyocera, IP Wireless, HP, Texas Instruments and Fujitsu. Werner Sievers is both a veteran of the wireless industry and an experienced leader of technology-centric, venture backed start-ups. Now on his eighth start-up, Mr. Sievers has consistently delivered returns to investors and employees across a series of internationally-focused semiconductor and wireless companies. Prior to joining Nextivity, Mr. Sievers headed Broadcom’s Broadband Cellular Group, a result of his successful sale of Zyray Wireless, Inc. to Broadcom in 2004. Prior to Zyray, Mr. Sievers served as CEO of Centera Ltd., a multi-national technology conglomerate. Mr. Sievers was the Founder and CEO of publicly listed Dimension Data Ltd., recently acquired by NTT DoCoMo. Mr. Sievers holds a Bachelors degree from the University of Johannesburg. Michiel Lotter has more than 16 years of experience in the field of wireless communication. Prior to joining Nextivity he was the Senior Director responsible for platform development in the Mobile Communications BU at Broadcom, which he joined as part of the firm’s acquisition of Zyray Wireless of which he was a co-founder. Prior to Zyray he spent 8 years with Alcatel Networks. Mr. Lotter holds a Ph.D. from the University of Pretoria. Additionally, he has authored and co-authored a number of journal and conference papers, as well as two books on wireless communications and is the named inventor or co-inventor on 14 issued patents. Carol Lee has more than 31 years of experience in finance, 23 years as a member of executive management. Ms. Lee spent the last 8 years in the wireless industry. Ms. Lee became a certified public accountant while working for Deloitte & Touche. She holds a bachelor’s degree in business administration from the University of San Diego. Thomas Cooper is a seasoned start-up executive with multiple early stage firms on his resume. Most recently, as VP WW Sales of Staccato Communications (who acquired Mountain View, CA based Artimi Inc. in 2008), both Ultra Wideband pioneers; he managed WW Sales & Field Operations from Taiwan. Prior to Artimi, Mr. Cooper was CEO and Board member of listed RIM Semiconductor, guided Virata Inc. as VP of Sales, Business and Corporate Development and Strategic Planning to a NASDAQ listing in 1998, and held various management positions with Hewlett-Packard, NET and several smaller start-up firms in the US and Asia. Mr. Cooper holds a BA from Hamilton College and an MBA from the University of Toledo. 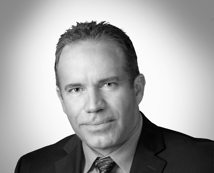 With a diverse career in manufacturing and distribution that includes both executive leadership roles and professional consulting, Rod brings to Nextivity an extensive track record of operational performance improvement using best-in-class Lean, Six Sigma and Supply Chain techniques. He was a former partner in an Operations Management consulting firm, Vice President / General Manager for Allied Signal Corporation (now Honeywell), Vice President of Operations for companies in the automotive and aerospace industries, and Director of Materials in the electronics manufacturing and industrial products industries. He has worked internationally in over a dozen countries and has an MBA from UCLA, a Masters Degree in Manufacturing Systems Engineering, and a Bachelors Degree in Mechanical Engineering. Founded in 2006, Nextivity has built a significant patent-pending technology portfolio and our veteran engineering team is leveraging advanced signal processing and intelligent antenna design to create a new market for self-configuring, environmentally-aware indoor coverage systems. Our experienced and committed Board of Directors lends its guidance, business acumen and wireless industry expertise to our growing team. Dan is Managing Partner of Red Hawk Media, where he focuses on technology, media, and telecommunications investments worldwide. Dan’s background combines extensive financing and investment experience along with hands-on operating and governance experience across all stages of a company’s growth. In addition to his role as Executive Chairman of Nextivity, Dan is currently Chairman of We Heart It, an image-based social network with a global community of over 25M monthly unique visitors. A respected voice in the worlds of media and entrepreneurship, Dan has been featured on CNN, CNBC, and ABC News, and in publications including The New York Times, The Wall Street Journal, Investor’s Business Daily, and Rolling Stone. Dan holds an A.B. in Economics from Harvard University. Greg Mauro is Founder and Managing Partner of Revolution Ventures. Greg leads Revolution’s investment efforts, which include founding investments in Gazillion, Quantcast, Entropic, Nextivity, and SmartDrive. Greg also has a long track record as a serial entrepreneur, including starting several Revolution portfolio companies. Greg is founder and former CEO of Nextivity. Greg is also founder, Vice Chairman, and former President of SmartDrive, a video-enabled driver monitoring and advanced safety service for fleets backed by Revolution, Oak Investment Partners and New Enterprise Associates. At Entropic (ENTR), in addition to managing Revolution’s founding investment, Greg authored the Entropic business plan while Vice President of Business Development and led fund raising efforts, securing over $75M in strategic investment from Time Warner, Cisco, Intel, Panasonic, Motorola, Dish Network, and Comcast. Prior to Revolution, Greg founded Tachyon, a pioneer in broadband-over-satellite whose service is utilized globally today, including by U.S. forces in both Iraq and Afghanistan. Across his endeavors, Greg has been on the founding team of ventures that have raised over $450M in aggregate venture capital, and Greg has personally raised over $250M of this funding. Greg started his career as a strategy consultant for Monitor Group, a global strategy consulting firm. Greg is a graduate of UCLA’s College of Honors and is a member of the Pacific Council on International Policy. Neil Wolfson is President of SF Capital Group. Prior to SF Capital, Wolfson was Chief Investment Officer and President of Wilmington Trust Investment Management, a $40 billion investment management firm. Prior to Wilmington Trust, Wolfson was a Partner at KPMG LLP and National Partner in Charge of KPMG’s investment consulting practice. Prior to KPMG, Wolfson ran an investment group at Kidder Peabody & Co. He holds an MBA in Finance and a BS in Management from New York University and is a Chartered Financial Analyst (CFA). Delgado Law Firm PLLC, is a bi-lingual law firm in North Central Washington state. Prior to opening his own firm, he was the managing partner at Foreman Arch & Delgado a general practice law firm. He is also the Managing Member of SARO International LLC, an investment corporation focusing in technology, agriculture and real estate. He holds a JD degree from Seattle University, an MA in International Studies from Ohio University, and a BA in Political Science from the University of Washington. He is fluent in Spanish and Portuguese. Werner Sievers, Chief Executive Officer of Nextivity, is both a veteran of the wireless industry and an experienced leader of technology-centric, venture backed start-ups. Now on his eighth start-up, Werner has consistently delivered returns to investors and employees across a series of internationally-focused semiconductor and wireless companies. Prior to joining Nextivity, Werner headed Broadcom’s Broadband Cellular Group, a result of his successful sale of Zyray Wireless, Inc. to Broadcom in 2004. Prior to Zyray, Werner served as CEO of Centera Ltd., a multi-national technology conglomerate. Werner was the Founder and CEO of publicly listed Dimension Data Ltd., recently acquired by NTT DoCoMo. Werner holds a Bachelors degree from the University of Johannesburg.